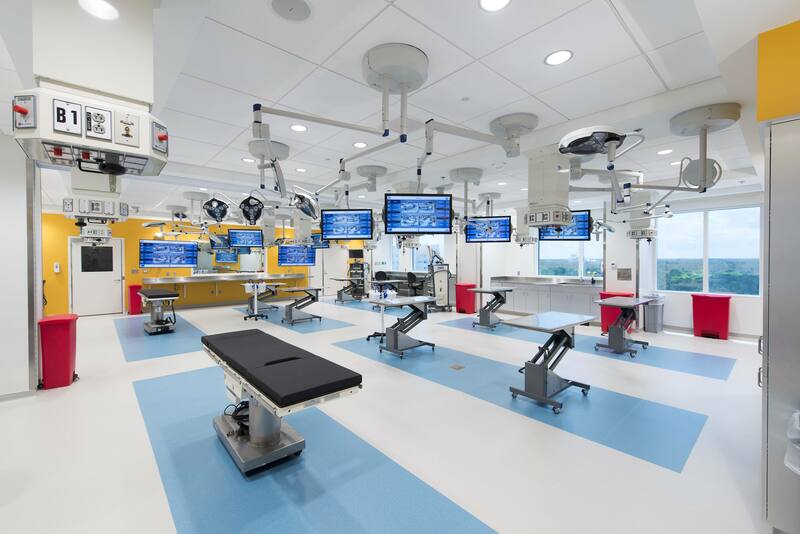 JACKSONVILLE, Fla.— A new procedural skills lab in the Mayo Clinic J. Wayne and Delores Barr Weaver Simulation Center at Mayo Clinic in Florida will help staff learn and perfect various clinical procedures, including joint arthroscopy, spinal taps and kidney removal. In addition, participants in the lab will experiment, learn and refine new procedures on tissue from cadavers. The new 3,000-square-foot skills lab includes space for microvascular surgical training, a gross anatomy teaching laboratory, a cadaver preparation facility, and a room to clean and store surgical instruments and equipment. With an emphasis on conceptual and experiential learning, the lab will further improve medical education and patient care. A good example of this research are endoscopic procedures in Mayo’s Department of Gastroenterology and Hepatology that treat a complication of pancreatitis called pseudocysts, a complex condition that requires placement of tubes to drain fluid that collects in the abdomen. Dr. Wallace says the new skills lab will improve patient care and better serve practitioners from the Jacksonville community. For example, training will be offered annually to emergency medical technicians in Northeast Florida to allow them to practice airway management and obstruction, and stroke care. In addition, Mayo Clinic will hold professional development conferences and workshops that use the lab. Recent advancements in technology, the advent of robotic surgery and innovations in the delivery of education have fostered the evolution of simulation in medicine. Simulation encompasses various approaches. Surgeons can practice fundamentals and master new techniques. Hospitalists and nursing staff undergo team training. And other health care staff provide patient assessments using standardized patients. In addition, the center includes extensive audiovisual equipment, so that training can be recorded and reviewed. Other amenities include a 60-seat learning center that accommodates large team training exercises and educational programs for external organizations. The center links with Mayo Clinic's simulation centers in Phoenix and Rochester, Minnesota, creating one of the largest medical simulation programs in the U.S. In 2017, the center hosted about 10,000 learners from Mayo and the community, and provided 27,000 hours of medical training.